At Marquis Jewellers, we proudly provide a wide variety of repair, restoration and insurance replacement services on-site. Our professional goldsmiths have extensive experience working with precious and semi-precious metals, stones, and pearls. We offer the highest quality repairs in a timely manner. Depending on the intricacy of the work involved, repairs and restorations can take place while you wait, same day or within 1 – 2 business days. 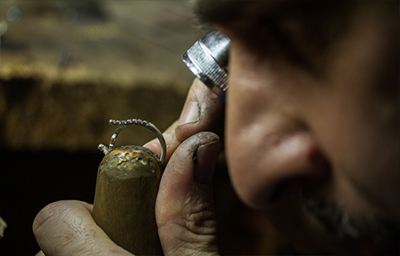 From the repair of your favourite necklace, the restoration a much-loved family heirloom, or the replacement of a lost/stolen piece, we offer timely and expert service. 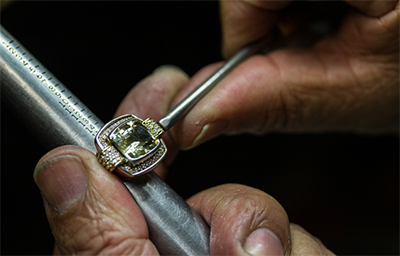 Of course, once repaired, all jewellery is cleaned and polished to its original lustre. Do you have jewellery that is sitting in your jewellery box or safety deposit box that you no longer love to wear? Have you received a family heirloom that isn’t quite your style? We’d love to help you redesign or update it so it becomes a favourite once again. We look forward to the opportunity to share our ideas and suggestions with you. We are one of the largest retailers of Movado Watches in the Toronto area. We also have a wide selection of Raymond Weil watches. 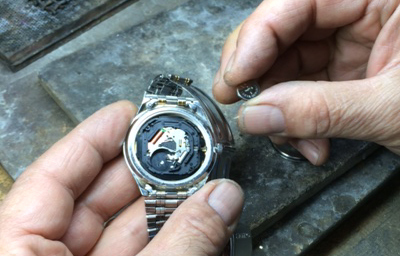 Our highly skilled watchmaker services most watch types, including high-end luxury timepieces. Marquis Jewellers provides a variety of corporate services to clients. 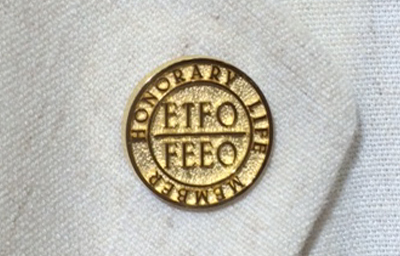 Gifts, corporate logo pins, commemorative service pins, pens and engravings are but a few of the services we provide.